Pet Education: Nail Trims. Part 12. Finding the Quick. Note: share these resources with your vet or groomer to get guidance before trying this on your own. Also note: Some of the videos might have a good visual of where the quick can be found, but they might not provide good examples of how to cut or dremel. The flashlight beam needs to be tiny. The tinier and more focused the better. Think pen light. The best position is between the toes. Start the beam at the base of the toe then move the beam towards the end of the toe nail. The order goes flashlight, dog toe, human. So the human is viewing the toenail with the flashlight behind. This worked well with my dog who has brown toenails and my dog who has very dark brown toenails. 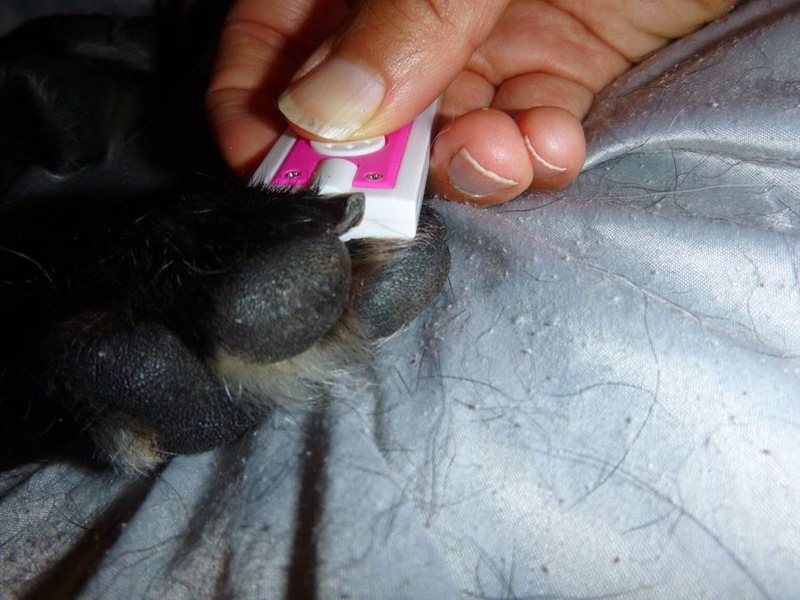 Note that some dogs might appear to have black nails, but once you use the flashlight, you might discover that the nails are only partially black and you still might be able to see at least part of the quick. The video below shows how well the light works on Puddin's brown/tan nails.